Yay, it's giveaway time. I'm giving away a copy of I AM NUMBER FOUR, THE POWER OF SIX, and and ARC of THE RISE OF NINE. If you haven't read any of these books yet, you're missing out! Well, here's your chance to win them. To enter, just fill out the Rafflecopter form below. This giveaway is only open to US participants and ends September 27th. If you are an international participant and have a US address I can ship to, feel free to enter! 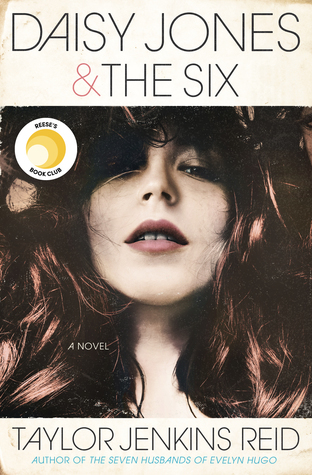 I've read up to the Power of Six and I love Marina's story and I am looking forward to reading more about Seven. I have read I Am Number Four and The Power of Six but I got them from my school library! I am so excited to read The Rise of Nine. I really love this series. I was actually debating whether or not to start this series when I came across this giveaway! I haven't read any of these but I did see the movie of I am Number 4 so I would love to be able to read the book and continue on with the series. Thanks for the great giveaway. I actually see the movie I am Number 4 and loved it. At the time, I was unaware that it was based on a book. I've been wanting to read the series ever since I learned that! Thanks for the opportunity to win! I started reading I am Number Four, but it got too busy to finish it. I would really love to start the series again. I've heard a lot about it and I'm starting to think I really should read it. Plus, I love Science Fiction. Thanks! I'm actually surprised by how much I enjoy the Alien aspect. I've only read the first one, but he really uses aliens in the right way. *shudders* Most alien movies are so corny. I have seen the movied of "I Am Number Four" and I would love the opportunity to read the book and see how well the movie compares. Definitely to see who Six will end up with. Such a great character! I like it all. It's different and refreshing from other books that are out right now. Thanks for the giveaway! I've read the first novel and thought it was very exciting and engrossing, so I'd love to read the rest of the series. I've seen the movie but I haven't had a chance to get my hands on any of the books yet! It would be awesome to read them! i've been meaning to read this series for a while now, they sound pretty awesome! I haven't read any of these, but did enjoy the film, *I Am Number Four*. Would love to read them. Saw these books when I was checking stats for my own book on Amazon--The 5 Moons of Tiiana. They looked interesting as did the movie. To be honest, I saw the movie and loved it, so now I want to read the books. Saw the movie, had students read the book, have not even though about them since! Bad, I know!! Well, I saw the I am Number 4 movie and heard that it was nowhere near as good as the book, so I'm just excited to read it... Plus I'll probably be imagining the MC as Alex Pettyfer. hahah. I want to know how Number 4 and the others are *possibly* going to defeat the beings that are after them. I have yet to read this series, but I keep getting recommendations for it. I love the whole plot of the series, really. One of the things that excites me especially about the Lorien Legacies, however, is that its all up to John and Six all seven of them to defeat an entire race, basically, of intelligent and advanced Mogs. They have their Legacies going for them though, so that definitely helps. Six is my favorite YA character, I think! I've read I am Number Four but my brother stole my copy of the second novel so I haven't gotten to read it. I really want to know what happens next. Thanks for the giveaway! Yay a giveaway. Thx. I had fun watching I am Number Four movie but haven't the chance to read the books. The characters are really cool so it'll be fun to get more detail on Four, Six,, and Nine.